If Hillary Clinton survives her myriad real scandals and becomes the Democratic presidential candidate for 2016, are we going to be bludgeoned with sexism the same way Barack Obama’s supporters have exploited “racism”? If recent rumblings from Clinton supporters are any indication, I’m afraid this could be the case. What he’s really trying to do is intimidate, just as proponents of political correctness do with their list of forbidden words and topics and just as Obama supporters have done with race for six years. West and company probably have observed Obama’s success in pre-emptively silencing his critics and figure the same tactic will work for them — honesty, integrity and gender relations be damned, just as Obama’s demagogues have selfishly exacerbated racial tensions in the United States. I’m serious about this. How can honest observers deny that Obama and Attorney General Eric Holder’s weaponizing of the race issue has not set back race relations? Using the standards they’ve established, how does their whining about race every time someone disagrees with their outrageous actions contribute to the image of minorities and their self-sufficiency? I’ve always believed that this shameless tactic has been insulting to minorities and abundantly counterproductive. In fact, Obama and his supporters have abused the race card to the point of absurdity, but they are impervious to shame over it because it still works to insulate them from scrutiny and accountability, no matter how preposterous it has become. So let’s get one thing straight out of the box. For Hillary and her henchmen, this isn’t about glass ceilings, respect for females, gender relations or even her faux defensive sensitivity, which would be bad enough. It’s a calculated offensive move to put her critics off balance and deflect heat over the misconduct she’s engaged in and the noxious policies she’ll be endorsing. 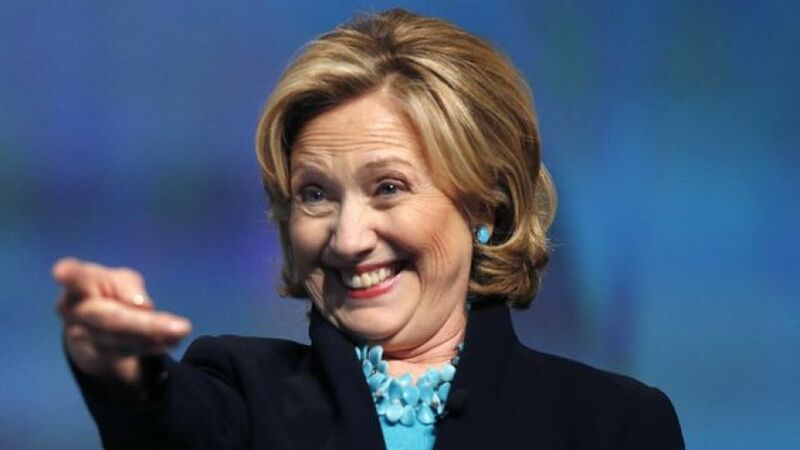 I doubt seriously that the self-absorbed Hillary has genuine concerns about enhancing respect toward women generally, as her evil quarterbacking of the “bimbo eruptions” operation to defame her husband’s female victims into silence firmly attests. What manifestly drive Hillary, like husband Bill, are raw political ambition and every delicious morsel that would accompany her coveted elevation to the White House. Hillary can be as tough and heartless as any male chauvinist, as witnessed by her callous utterance on the cause of the terrorist attacks in which four American diplomats were murdered in Benghazi, Libya: “What difference, at this point, does it make?” Her excusers have said that was taken out of context. Well, put it in any context you want, and throw in her defiant attitude. Then tell me it was a tactful, sensitive, acceptable thing to say. Dare to tell me it was decent or honest of her to pretend that it makes no difference that she and others in the Obama administration fraudulently blamed a video for the attacks. You can’t. But along with her real heartlessness come her manufactured gender sensitivity and embarrassing, self-generated weakness. Remember when she and her chivalrous protectors decimated Rick Lazio for daring to approach her lectern during a debate in the campaign for Senate? She can’t have it both ways. She’s either tough as nails or a helpless wallflower. Isn’t it interesting that these bullying buffoons unwittingly happened on descriptors that so precisely pinpoint Hillary’s aura? Or was it intentional? That would be bizarre. If I were more worried about the likelihood that Hillary will become our next president, I’d probably take this stuff more seriously. But if she gets the nomination and her enablers inject sexism in this way, maybe her opponents will enjoy the ironic gratification of seeing the sordid tactic fall on its face — largely because her ideological and narcissistic soul mate Barack Obama cried wolf one too many times on race and people will be on guard against it regarding gender. David Limbaugh is a writer, author and attorney. His latest book is Jesus on Trial: A Lawyer Affirms the Truth of the Gospel .